The new space industry maximizes efficiency and resourcefulness across the development process. This is the third in a series of Avascent white papers on disruption in space markets and what it means for your business. 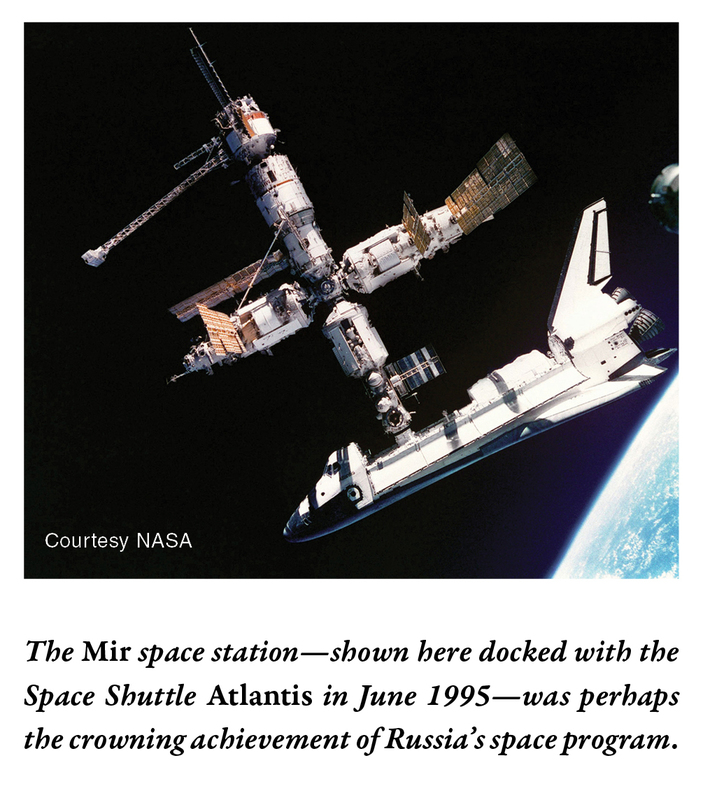 During my two years working in Russia in the early 1990s to support NASA and the US Air Force, I was introduced to a markedly different approach to space manufacturing and operations. The Russian model, with access to exceptionally cheap labor and limitless raw materials, eschewed clean rooms and sophisticated test systems. It thrived on simple designs, built rapidly and repeatedly, in factories that would have looked right at home in 1950s Detroit, in contrast to the lab-like environment found elsewhere in the space industry. There was a bustle of activity as workers produced enough launch vehicles and spacecraft to support more than 100 missions a year. Instead of exquisite and delicate systems, the Russians designed and built rugged hardware that could withstand dust and vibrations and still do the job. Even if a launch or satellite failed, a replacement could be orbited in almost no time. In many ways this was the first institutional approach to operationally responsive space. Although there is much to applaud in this model, it doesn’t work in an environment in which customers are seeking to maximize quality and differentiate themselves through continuous innovation and new service offerings. In fact, for years most aerospace leaders argued that the unique characteristics of space hardware and customers’ demanding requirements necessitated a customized approach to manufacturing that treated every piece of hardware almost as a one-of-a-kind product. Then SpaceX came along and changed the world. Of course, it’s not as simple as that. A broad swath of companies—Boeing Satellite Systems, Surrey Satellite Technology, SS/Loral, Raytheon Missile Systems, and OHB System, just to name a few—were early to introduce innovative manufacturing approaches. Yet it is fair to say that an outsider named Elon Musk, who came from the software industry with no prior space experience, brought a new sensibility to space production and operations. Established players expected the upstart to fail, but as it began to hit its stride, the industry and its customers started to take notice. Companies now recognize that one of the most important keys to success in the space market is a development and production philosophy that emphasizes efficiency and resourcefulness. It’s no longer sufficient to adopt six sigma approaches to repetitive operations—though they are helpful in reducing costly inefficiencies, most companies have already garnered the benefits from six sigma, and only marginal improvements are left. 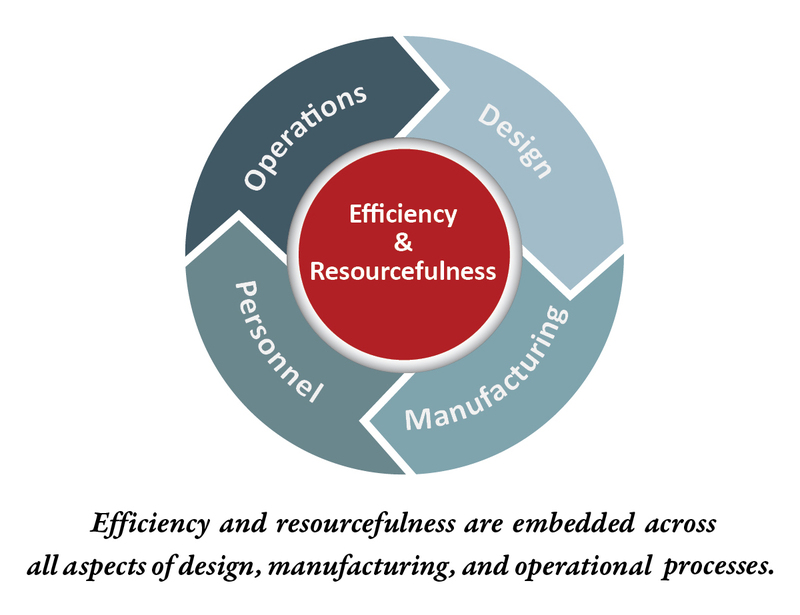 The new approach requires a holistic and rigorous commitment to efficiency across the entire development cycle, from design through manufacturing and operations. This paper looks at some of the specific tactics that are being used to transform manufacturing and development. Also vital is a culture that promotes flexibility and empowerment, which will be addressed in the next Avascent space white paper. For all the technologies that are modernizing manufacturing, the most important driver of efficiency occurs in the design process rather than on the factory floor, as companies are learning to make systems as open and modular as possible and to prioritize simplicity. SpaceX epitomizes this in many ways, ensuring that there is as much commonality as possible across platforms, designing systems with ease of manufacturing and operations in mind, ensuring that the cost of logistics and operations are factored in, and adopting spiral development to reduce schedule challenges and associated costs. Some of the decisions are large, such as using a derivative of the same engine for the first and second stages of the rocket, speeding production and testing while streamlining engineer training. Other design choices, such as ensuring that all elements of the Falcon 9 can fit on a standard truckbed, greatly reduce the cost of logistics, as the company avoids the need for barges or other expensive and time-consuming transportation modes. SpaceX is widely recognized for its commitment to insourcing as much as possible—reportedly more than 80 percent of its hardware content—with numerous benefits. It allows the company to better control and adapt to schedules based on continuous monitoring of the production lines. Schedule risks are quickly identified, and resources can be reallocated to address challenges. Theoretically, insourcing also allows management to easily assess flaws when there has been a system or subsystem failure, as all of the processes are internal; in fact, SpaceX’s recent launch failure seems to have been caused by one of the few parts not built in-house. The most touted benefit of insourcing is cost, as there is no need to layer fee-on-fee, which happens when each supplier on the value chain adds its margin. When almost everything is produced under a single roof, there is direct control over cost centers and more flexibility in identifying areas to trim. There are many other aspects of the manufacturing process also contribute to efficient production. An important innovation that several aerospace companies are adapting from the computer industry and other high-tech commercial fields is flexible factory design. Many production systems are literally on wheels, so companies can move or resize work stations as workflow requires. Larger space companies are increasingly turning to automation. The upfront investment is substantial but can result in significant long-term savings—not just in decreased personnel costs, but also in improved quality assurance and less waste. SpaceX has outfitted its Hawthorne facility with many robots repurposed from automotive manufacturing to build its space hardware. 3D printing has also received significant attention, and deservedly so. The printers allow for 24-hour manufacturing without the variable cost of human labor and also enable production designs that are more intricate and efficient than any human-welded system could support. The 3D printed objects are simply better. Rapid prototyping of new designs has been adopted as a best practice by many aerospace companies, and a key to successful implementation of this model is better coordination and communication across teams that have historically been separated. One effective tool that Avascent is seeing implemented is integration of the factory floor with design teams via collaborative work platforms and software systems. For example, Lockheed Martin has implemented a “digital tapestry” that allows real-time feedback between the manufacturing workforce and designers at their workstations, so designers can re-engineer systems that require cumbersome or complicated steps and gain immediate feedback on the impact of their designs on production activities. Similar collaboration across test and integration regimes ensures an attention to efficiency and effective feedback across all levels of the manufacturing process. A final and important element in the new operational philosophy is to reuse and repurpose hardware and software as much as possible. Perhaps the most visible example again comes from SpaceX, which aims to reuse both its Dragon capsules that supply cargo to the International Space Station and the first stage of its Falcon 9 rocket. 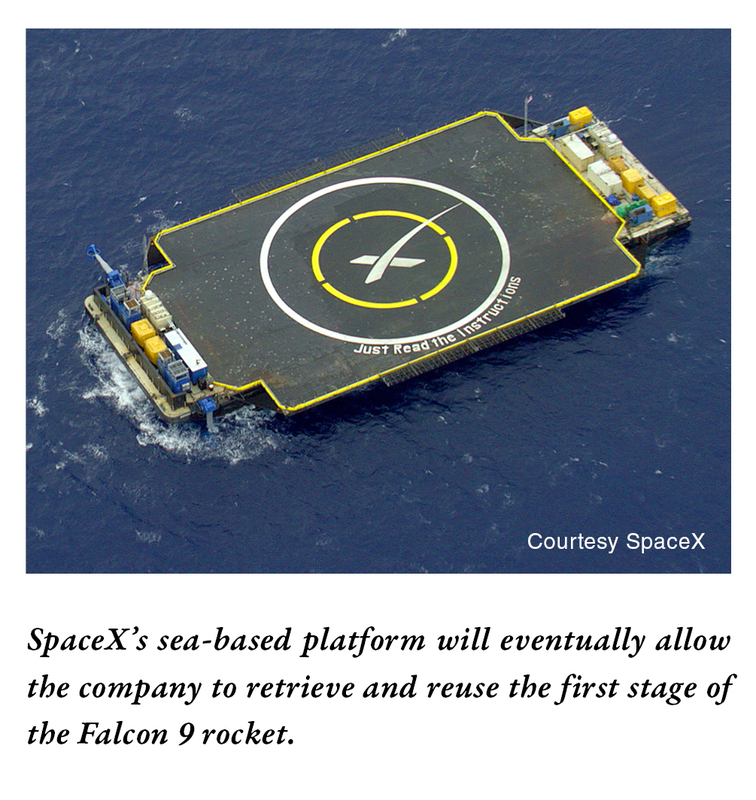 To this end, SpaceX has frequently attempted to land its spent first stages on a floating platform so it can recover and reuse the hardware. The logic of this approach is so clear that both ULA and Arianespace now plan to recover at least the first-stage engines of their next-generation rockets. But the philosophy is not limited to hardware: several years ago Raytheon entered into a successful collaboration with Microsoft to develop agile software engineering systems. The primary objective was to develop a means of reusing as much code as possible from one project to the next, decreasing development time and costs along the way. How can traditional aerospace contractors best adopt “future factory” lessons from both the space upstarts and from other high-tech industries? What combination of manufacturing innovations can provide a competitive edge? When do the cost advantages of vertical integration (i.e., insourcing) outweigh the potential challenges to supplier relationships? How do you socialize customers to the idea of spiral development and beta testing as an operational philosophy? Royce Dalby is a Managing Director at Avascent and leads the company’s space portfolio, providing strategic advisement and market analyses to commercial and government clients. He covers all aspects of military, civilian, and commercial space activities within the United States and abroad. With more than 25 years of experience in aerospace, he has managed numerous engagements on launch systems, satellite remote sensing systems, global positioning technologies, human spaceflight, satellite communications, space science, and aeronautical systems and technologies. He has also advised companies on financing strategies and led due diligence of companies in support of M&A activities.